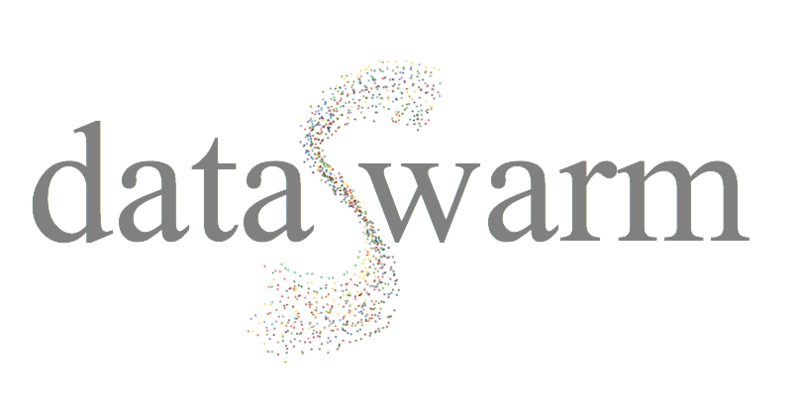 Our DataSwarm Analytics Engine has been tracking the French Elections now for some time but since Sunday 23rd April when Emmanuel Macron of the ‘progressive movement’ En Marche! and Marine Le Pen (until that Sunday leader of the National Front – she temporarily stepped down in order to concentrate on being the presidential candidate) were declared the 2 finalists we have been watching as the new zeitgeist emerges. 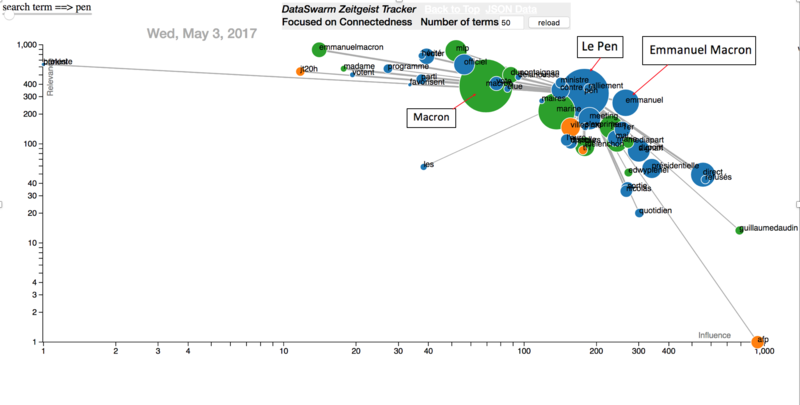 As it is clear from the snapshot taken today from the DataSwarm Engine above, Le Pen and Emmanuel Macron appear to be pretty much neck and neck which is closer than the latest polls published on Tuesday carried out by Ipsos Sopra Steria in partnership with France 2 / Le Point / Le Monde / RFI / France 24 / Parliamentary channels would suggest. These polls show that Macron should have 60% and Le Pen 40% of the vote. However, the polls also show that 27% of those intending to vote still have not decided who they will vote for. Because of this and the added complication of it being a 3 day weekend in France it is suggested that abstention could be strong – a quarter of all those surveyed said they would not be voting at all and this could strongly influence the results potentially in Marine Le Pen’s favour. Perhaps another potential disruptor of all predictions is still to be seen however as the rivals are to hold a one off key French Presidential Debate live on French TV this evening. For those interested France24 will be streaming it live. So hold on tight as with Emmanuel Macron pledging to take on Marine Le Pen in “hand to hand combat” it promises to be quite an event. We will report back on Friday with our final prediction – 48 hours before the Election on Sunday 7th.